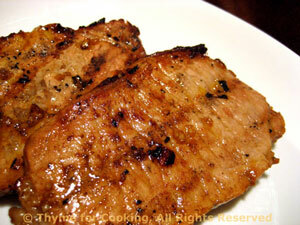 Spicy, Marinated Pork Chops, from Thyme for Cooking's Weekly Menu Planner. 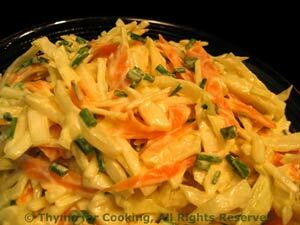 What is the difference between coleslaw and cabbage salad? I have no idea... I know that it keeps well and makes great leftovers. 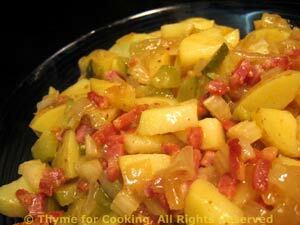 Combined with the leftover potato salad, it's an easy dinner for this night!